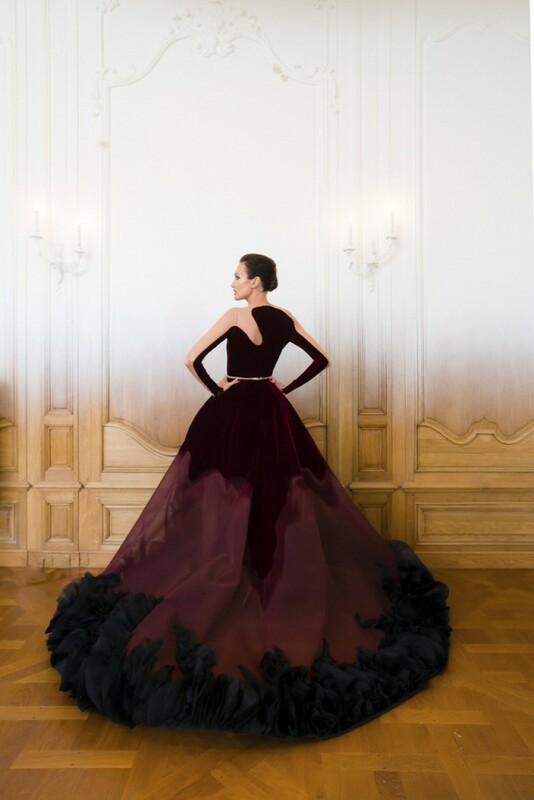 Hey ladies, check out the new Haute Couture collection for Fall/Winter 2014/2015 by Stephane Rolland. Stephane is a recognized French fashion designer, popular for his dramatic designs. He loves creating gorgeous gowns with interesting volume and shape. This new collection will be a great success for Stephen, like all the others he had created. The dresses transcribe the sculptural play that Rolland adores. A golden collar flowed into chains that, in turn, connected to the gown’s shimmering bronze green flow of the bodice and skirt. Another dress looked like an architectural elongation of spines, protruding from the neckline, framing the wearer like a work of art. A third featured the body as the pistil of a blood red velvet rose. Others looked like Japanese sumi-e paintings in ink and expanses of white space in the form of fabric. All of the dresses are eye-catching, so if you choose to wear Stephane’s design you will for sure draw a lot of attention. Enjoy!